3. 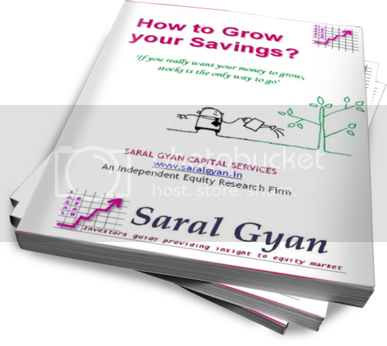 Saral Gyan eBook - How to Grow your Savings? Our equity analysts will publish portfolio of 10 small and mid cap stocks for 2019. It will include best of Saral Gyan Hidden Gems and Value Picks, you can take exposure in these stocks to get good returns on your investment. We expect that our carefully selected high quality small & mid cap companies (to be released on 1st Jan'19) with strong fundamentals can give superior returns on your investments compared to broader indices like Sensex, Mid Cap and Small Cap index.